Baked Cauliflower Gratin with Pepper Jack Cheese is a savory and easy to make baked cauliflower side dish. You can put together a fantastic side dish with tiny effort. 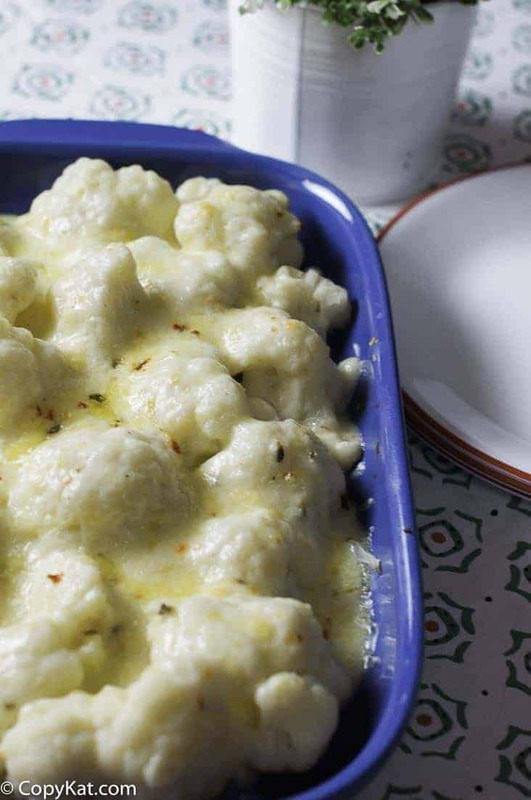 Cauliflower is an excellent vegetable that is hearty and one that most everyone loves. I have been taking classes to become a chef this spring. Gratins are a dish that we make a lot of. I wanted to update a classic French dish and make it with just a bit of spice. Pepper Jack cheese adds just a little bit of heat with the peppers that are in the cheese. If you do not like Pepper Jack cheese you could use cheddar or even Swiss cheese either will work very well. I like to make this dish and serve it with a roast or use it as a side dish with a roast. I think it holds up well to a hearty meat dish. If you have never made a gratin before they are a very easy dish to make. 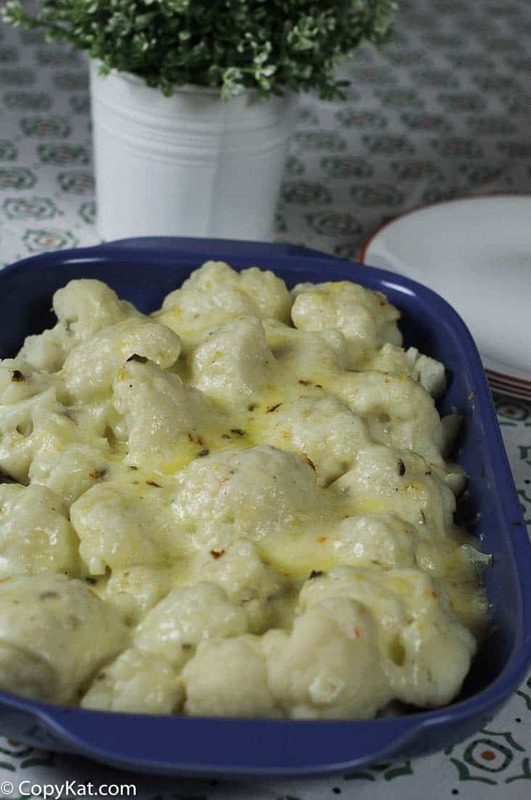 For this recipe, I cook the cauliflower in salted boiling water to make sure they are done, and then I pour the cauliflower into the dish, and pour the cheese sauce over the dish. Before placing this dish into the oven, I sprinkle cheese over the dish. I think you will be amazed at how easy it is to make this easy side dish. You could use this same technique to make potato gratin or any other vegetable side dish. Enjoy Cauliflower? Try these cauliflower recipes. 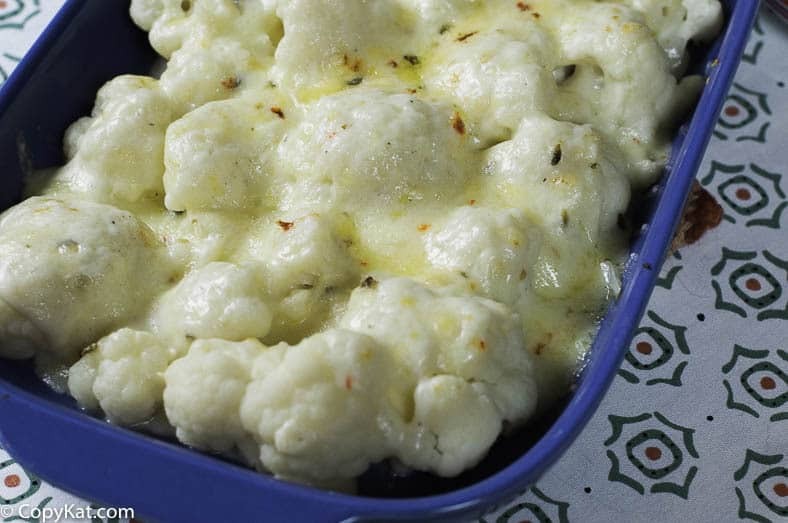 Baked cauliflower with Pepper Jack Cheese is a great way to enjoy fresh cauliflower. While the cauliflower is cooking, start the cheese sauce. Melt two tablespoons of butter in a small saucepan. When the butter has melted completely add the flour. Cook flour for 1 to 2 minutes. Slowly begin to add milk, which each addition of milk the sauce should thicken. When all of the milk is added add 4 ounces of cheese. Stir in the cheese until it melts completely. There are only two of us, so I would prefer using frozen cauliflower. How much do you think I would need? Also, would you defrost the cauliflower and then coninue with the recipe as written? Thank you for your help. I cubed smoked gouda and used instead. Placed under the broiler at the end. Very good! Can microwave cauliflower in a glass dish if in a hurry. This is similar to a recipe my family used to love. It was mayonnaise and mustard mixed together spread over the top of precooked cauliflower and then topped with cheddar cheese. Warm under the broiler until cheese melts. My kids couldn’t get enough of it. I think it was in one of the Better Homes and Garden Cookbooks. I’m going to make this and add a few broccoli florets for the green and some chopped red pepper for the red to give it some Christmas color on the table! Made this today. Totally delicious! The husband said its a “keeper”. The only thing I did different was to put it under the broiler for a couple of minutes at the end since it wasn’t browning enough in bake mode. The brown parts from the broiler ended up being the icing on the gratin lol. Thank you. I am so glad that you enjoyed this recipe. This is one of my favorite side dishes right now. This goes great with chicken breasts, liver and bacon casserole and any roast meats. Thank you. I can do most anything but liver 😉 Unless it’s chicken livers ground up into pate. Do you know about how much calories are in a serving ? I wanna try this! Might put some buttered bread crumbs on top.